I have worked on 14 books as author, co-author, contributor or technical editor. Here is a rundown of my work. 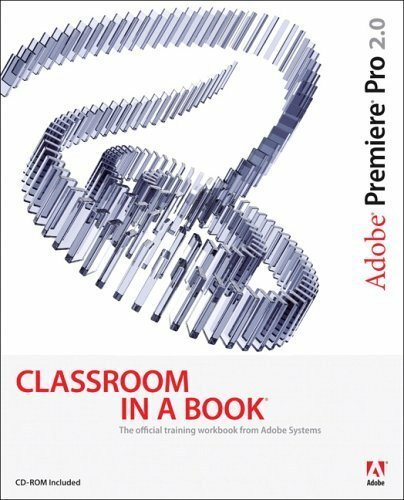 Adobe Premiere Pro 2.0 Classroom in a Book is my most recent book on Premiere Pro. This book turned out exactly the way I think a how-to book should. It presents lessons in a real-world context, the hands-on lessons use assets from the book's companion DVD, and I start each lesson with a video introduction that presents an overview of what you're going to work on. I am very happy with how it turned out and I think it will make learning Premiere Pro 2.0 go very smoothly. The book shipped in February 2006. 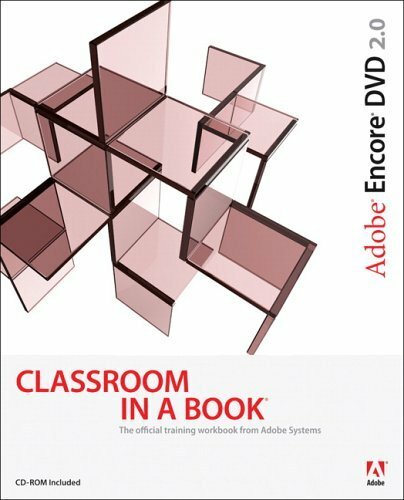 Adobe Encore DVD 2.0 Classroom in a Book is my most recent title. Encore DVD 2.0 is an excellent product that lets you create professional-quality, full-featured DVDs. As with my other Adobe Press title, this book's lessons use assets provided on the DVD and has introductory videos that I created for each lesson. The book shipped in May 2006. By the way, you might notice that I am not listed as the author on the book cover or on any book seller's website for both Adobe Press titles. That's an Adobe Classroom in a Book practice. But, each book has a "From the Author" page and I get to say a few words there. 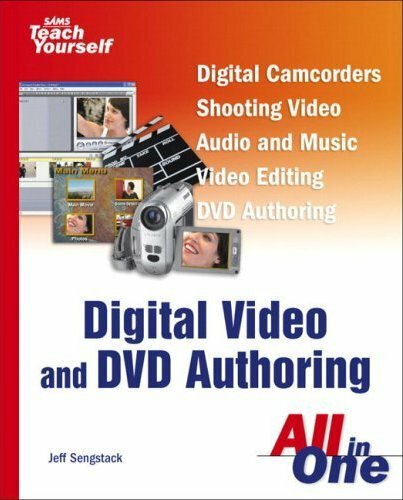 Sams Teach Yourself Digital Video and DVD Authoring All In One is an entry- to intermediate-level book on video and DVD production on the Windows XP PC. It features step-by-step video editing using Pinnacle Studio DV 9 and DVD authoring using Studio DV 9's DVD module and Sonic Solutions' MyDVD and DVDit! The book shipped in February 2005. 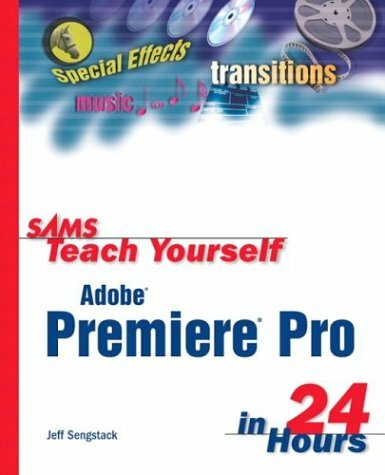 Sams Teach Yourself Adobe Premiere Pro in 24 Hours is my second on Adobe Premiere. Premiere Pro is a terrific product. A significant improvement over its predecessor: Premiere 6.5. While there is some duplication between this book and my other Sams book on Premiere 6.5, Premiere Pro is such a different animal, if you do upgrade from 6.5 to Pro this book will be a big help. When I considered changing from writing about PC games and software to writing books, I asked an Adobe executive for advice. I had done some consulting work for Adobe on DVD products and he suggested I write a book on DVD authoring. He introduced me to several publishers and I decided to work with Sams. We put the DVD book idea on hold while I wrote the book on Premiere 6.5 then I tackled this topic. I am very happy with how Sams Teach Yourself DVD Authoring in 24 Hours turned out. It takes readers through all levels of DVD authoring from personal to professional. I also present tips on photo and video, image and video editing, and music and narration creation. 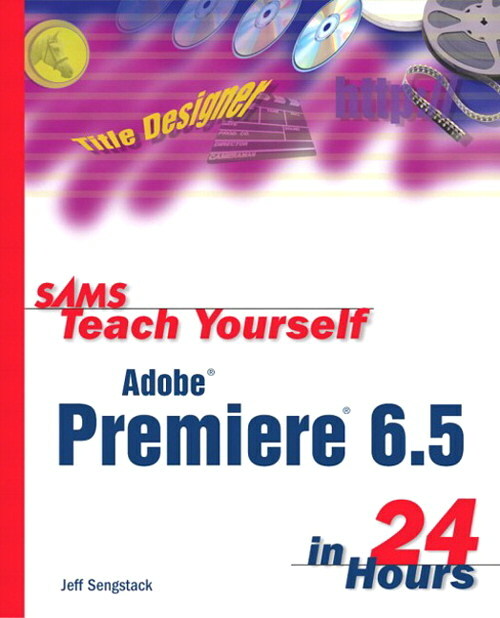 Sams Teach Yourself Adobe Premiere 6.5 in 24 Hours is my first book for Sams. When Sams asked me if I wanted to write a book on Premiere they suggested writing it for their Teach Yourself series. That worked for me because the STY style suits my writing "voice." The STY approach assumes readers are not dummies or idiots and do have brains. I believe in putting things in context. Most how-to books cover a product's functions. How this is different (and I think better) is that it shows you how to create videos using Premiere. I took a brief foray into writing PC game guides for Prima. I had the good fortune of starting with The Residents: Bad Day on the Midway. If you've heard of it, you must be part of the Cult of the Residents. The Residents is a resolutely anonymous and impossible to define artistic endeavor. Bad Day is less a game and more an interactive experience -- a bizarre one at that. Writing this	book gave me the opportunity to further The Residents mythology and to expand on Bad Day's narrative and characters. If you appreciate The Residents then it's worth your while to track down a copy of this book. Normality is a quirky little adventure game loaded with droll British humor that did not warrant an entire game guide. But I needed the work and Prima needed someone to write this. I did what I could to make the	guide fun and match the weirdness of the game but in the end Normality, the game and the book, failed to sell well. Clandestiny is an adventure game set in Scotland and created with feature-film quality cartoon animations. 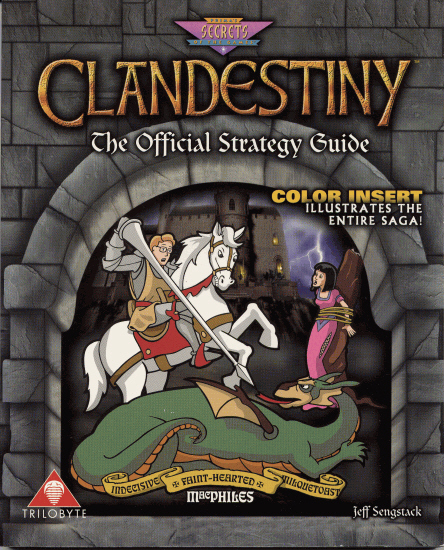 I chose to write its	strategy guide because it gave me the opportunity to re-connect with gaming guru Graeme Devine, the programmer and co-designer of The Seventh Guest. In 1996, his company, Trilobyte, was collapsing around him and Clandestiny was its last gasp. I think he knew it but he remained stoic. He had little direct involvement in the game but its developers created it as a paean to Graeme and his native Scotland. I convinced Prima to add a full-color section to the guide as my parting nod to Graeme's genius. He went on to work with another gaming guru, John Carmack at id, and now is a game developer at	Ensemble Studios where he's working on something he "can't talk about, but it's really cool." He holds the title, "Chairperson Emeritus" with the International Game Developers Association. 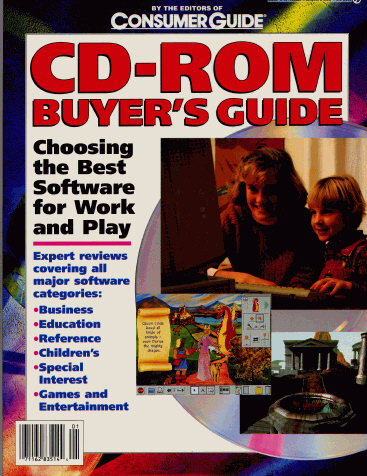 I wrote the Consumer Guide CD-ROM Buyer's Guide with Todd Harris, the editor-in-chief of CD-ROM World Magazine. This was back in the 1995, when simply putting a product on a CD was a bit out of the ordinary (one sub-head in the book's introduction asked, "What Is CD-ROM, Anyway?"). Todd and I each reviewed about 100 (!) products, from children's software and games to reference and business and compiled our reviews in this book. If anything, this was a great way to get a whole lot of free software. 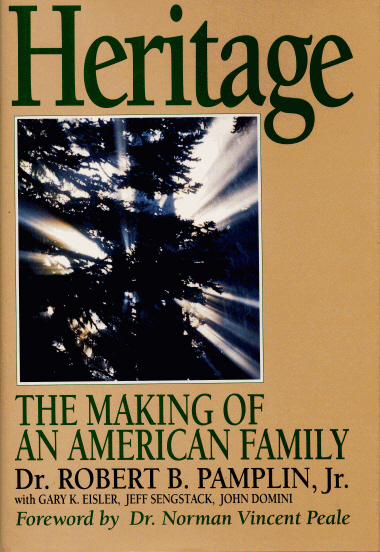 Heritage: The Making of an American Family was my first book. Robert Pamplin, Jr., a Portland, Oregon businessman and philanthropist was one of my video production clients. He asked me to co-author this historic biography. This was a great experience that involved a massive amount of research. I wrote four chapters, each on different family members from different historic periods: medieval England, colonial Virginia, the War of 1812 and the Civil War. Prelude to Surrender is based on the Civil War chapter that covered the siege of Petersburg. 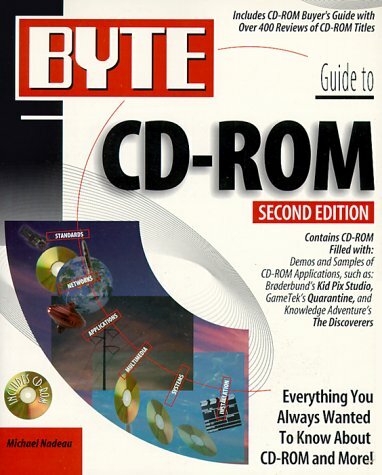 I contributed to both editions of the Byte Guide to CD-ROM and was technical editor for Boot Your Broker.